I received Max Factor's False Lash Effect Waterproof Mascara in the shade 'Black Brown' as part of a giveaway prize from Layla over at Sprinkles of Style; I've been using it for a couple of weeks now and thought it was about time to share my thoughts! 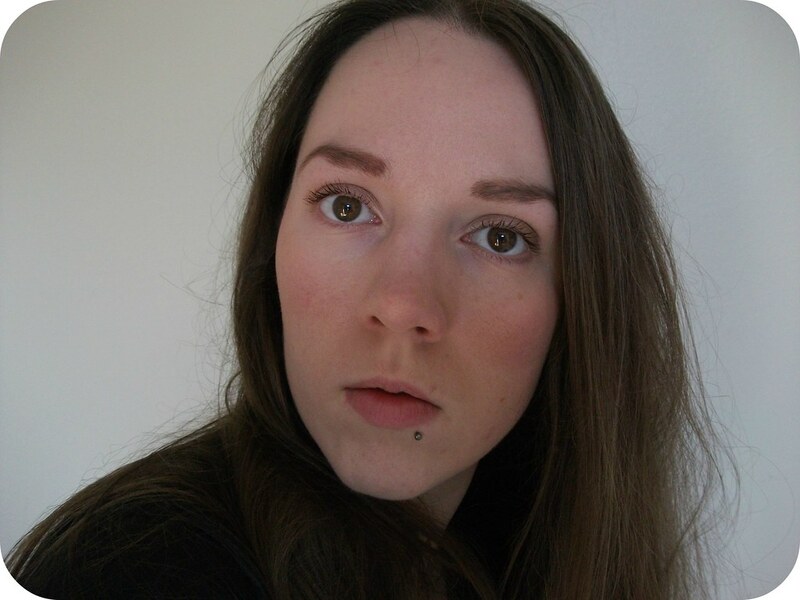 Firstly, I just want to mention that I usually choose black mascaras and wouldn't personally have gone for 'Black Brown' out of choice; however, I've tried to give it a fair test run! 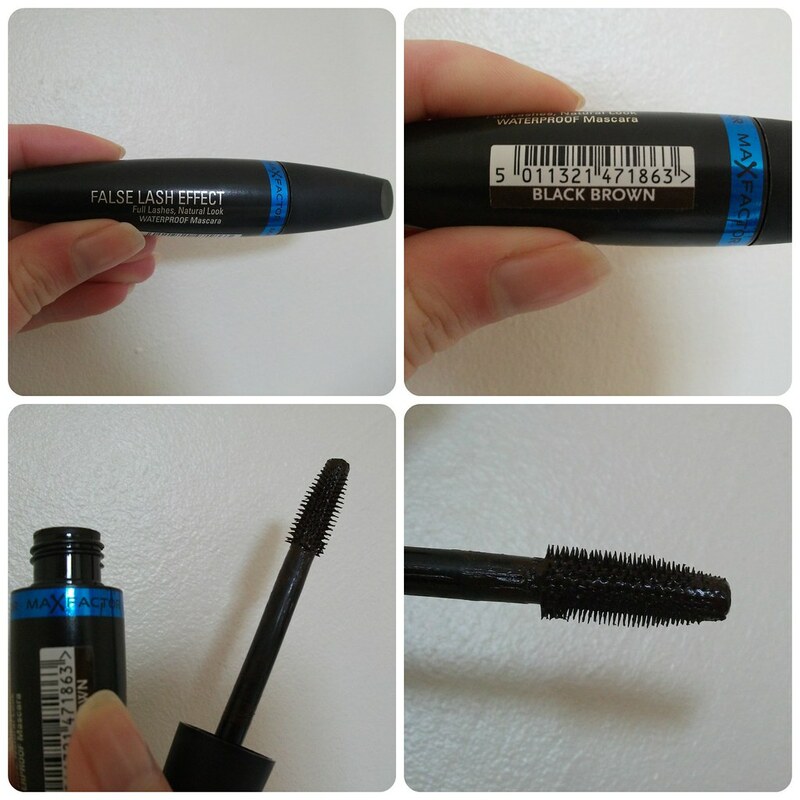 I have to admit to not being a massive fan of the tube; whilst I like the black with the blue band indicating that this mascara is the waterproof version, I feel like the tube is a lot chunkier than it needs to be, and I would personally prefer a slimmer, more compact option. This takes up a lot of space in my mascara jar and in my make-up bag. I was initially dubious about the wand, as although I'm perfectly happy with either a traditional 'bristle' spoolie-style brush or a plastic comb-style one, I wasn't sure how bristles this short would apply mascara to my lashes. I like to be able to wiggle the wand through my lashes and really coat each lash with product, but I found that that just wasn't possible with this style of wand; trying to do so meant ending up with smudged mascara over my eyelids, which is never a good look! 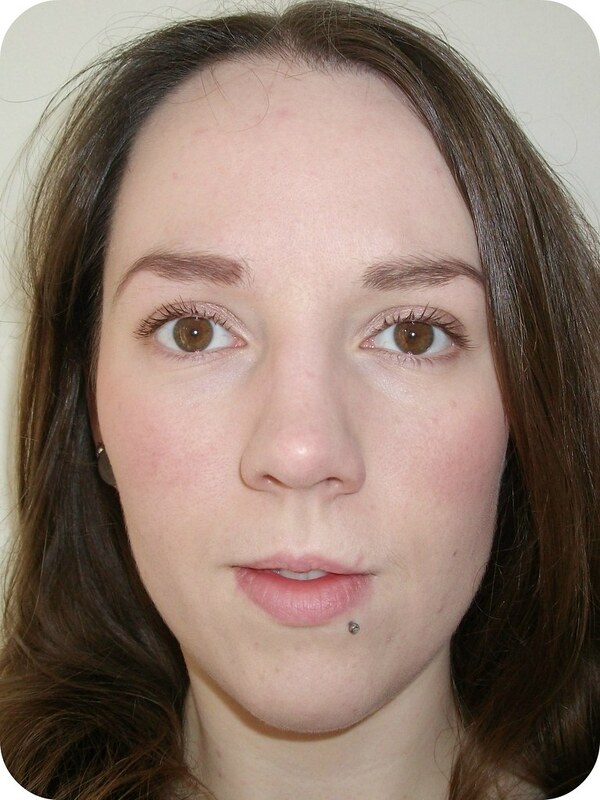 I ended up applying two coats of mascara to achieve any kind of length or volume, whereas usually I'd only apply one coat for daytime wear, occasionally using two for a night out. This isn't a massive problem but does mean it takes a little longer to apply my mascara in the morning. Despite my reservations, the colour of this mascara was actually fine and whilst it was maybe a little less dark than my usual choices, I don't think it's noticeably so. For me, the wand is what lets this mascara down. Removal was, I found, a nightmare; I know this is a waterproof mascara but I use an eye make-up remover, an oil cleanser and then a cream or gel cleanser depending on my mood, and still found that there were smudges of mascara under my eyes come morning. To put that into perspective, even They're Real! came off relatively easily in comparison to this! I don't tend to purchase waterproof mascaras and this is why. My final comment is that I think the name of this product is quite misleading; 'False Lash Effect' mascara makes it sound like it's going to give a dramatic effect whereas even with two or three coats, this is as far as I'm concerned very much a 'daytime' mascara and not something I'd choose for a night out. The description on the tube does say "Full lashes, natural look" so I'm really not sure why they went with the 'False Lash Effect' name as it is most definitely a natural effect! Max Factor False Lash Effect Waterproof Mascara is available from Boots or Superdrug, priced at £10.99 for 13.1ml of product. Personally, the extra time taken to apply two coats coupled with the awkwardness of removal meant this isn't a mascara I love and I won't be repurchasing; I might consider trying the non-waterproof version but even then, I don't see it being a product I love. 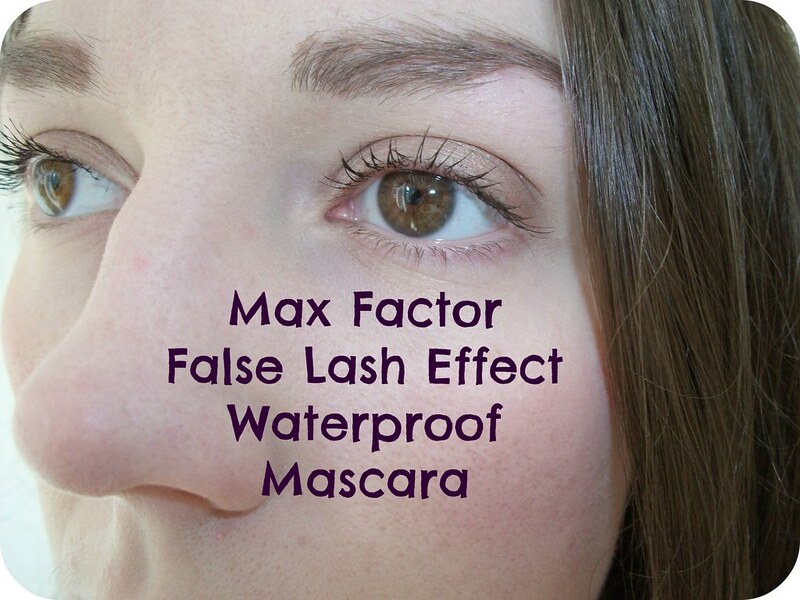 If you habitually apply multiple coats of mascara and aren't after any dramatic false lash effects, this could be the product for you, but otherwise, I don't think I'd recommend Max Factor's False Lash Effect Waterproof Mascara. Have you tried this product? What were your thoughts? What's your all-time favourite mascara? I have been thinking about purchasing it, but now I think I won´t buy it. Thanks for the review! I'm not a fan of waterproof mascaras, I'm so lazy in the evenings I want to cleanse my face as quickly as possible. I quite like the natural look this gives your lashes. I've never tried a Max Factor mascara before, so I'm still tempted, but I don't think I'd choose to try this one. I think it does look natural, not false at at like you said. I wish we had MF in the US. I think this mascara is similar to the Cover Girl Lash Blast.